A former Army reservist has been sentenced to more than 11 years in prison for stealing six machine guns and 10 handguns from a U.S. Army Reserve facility, escaping from federal prison and attempting to rob two banks. The 37-year-old Cambridge resident, James Morales, was sentenced Monday after pleading guilty last year to several counts including possessing stolen firearms, theft of government property, being a felon in possession of a firearm and attempted bank robbery. Authorities say Morales stole the guns from an Army Reserve center in Worcester in November 2015 and was captured days later in New York City. Prosecutors say Morales escaped from prison in December 2016 by climbing a basketball hoop, jumping onto a roof and going through a barbed wire fence. 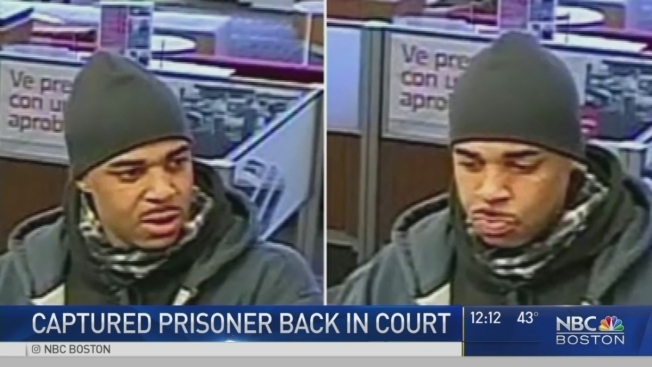 He was recaptured days later after trying to rob two banks.